Demolition of the Murlin Heights Elementary School building on N. Dixie Drive in Butler Township has begun. 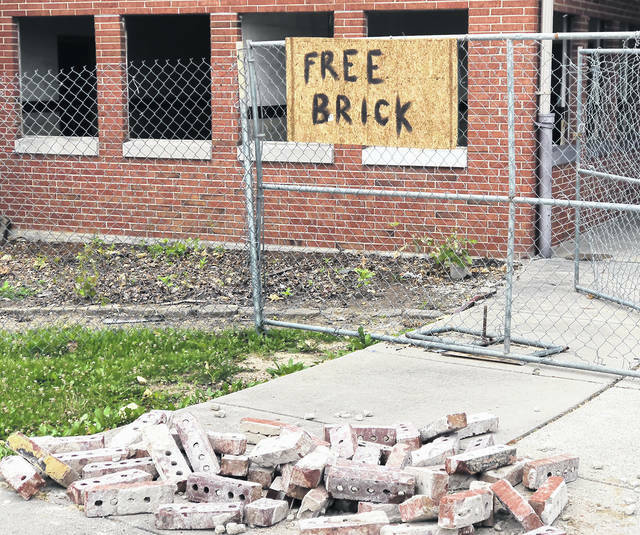 Bricks from the Murlin Heights Elementary School building are available to the public. There is no cost. BUTLER TWP. 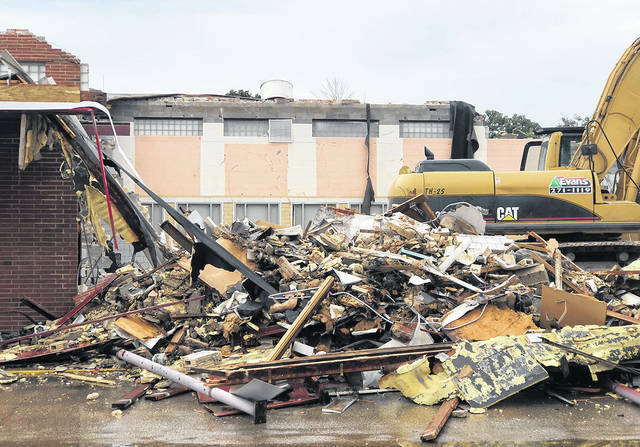 — The demoliton of the former Murlin Heights Elementary School is underway and the contract is making bricks available to members of the public at no cost. Bricks can be found on the north side of the building near where the main entrance was. Murlin Heights closed in 2013 as part of the district’s cost reduction plan. Students in grades K-3 were split between Helke and Demmitt Elementary schools while Smith Middle School absorbed students in grades 4-5. Since the closure, the building has been used for district storage as well as active shooter training by area law enforcement. District staff and board members have expressed concern in recent months about the deterioration of the roof and other structural issues that ultimately led to the decision to proceed with demolition. In 2014, an appraisal indicated that the land with the building was worth approximately $850,000 but with the building demolished that value was $1.3 million. An update to that appraisal in 2016 said the vacant land would be worth about $1.4 million. Updated appraisal figures have not been released. Demolition is being performed by The Evans Group out of Cincinnati at a cost of $223,327.